Hurry up! 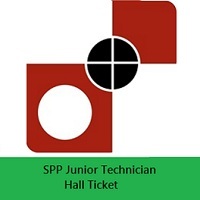 SPP Junior Technician Hall Ticket release date is announced by the officials of the Security Printing Press. All the eligible candidates will get the admit cards on 18th February 2019. Hence, the candidates applied for the posts of Junior Technician, Supervisor, Firemen can download the hall tickets from our page using the direct download link or you can get that online from the official site @ spphyderabad.spmcil.com. Moreover, it is also announced that the SPP Junior Technician Examination 2019 will be commenced in the month of April/ May 2019. In the coming sections, you can find complete details about the selection process, mandatory documents, steps to download the hall ticket. The Security Printing Press higher authorities recently announced that the SPP Junior Technician Examination 2019 will be conducted in the month of April/ May 2019 through their official website spphyderabad.spmcil.com. Hence, eligible students can make use of this opportunity and prepare well for the examination. You can also find the recruitment link provided on this page. There are totally 38 vacant positions for the posts of Junior Technician, Supervisor, Firemen in Hyderabad. The selection process for the examination contains 2 rounds. All the eligible students should attempt the WRITTEN TEST. Then the selected candidates will be promoted to the next round which is the INTERVIEW round. The candidates who clear the interview round will get recruited for the applied posts. So, eligible candidates need to download your admit cards as soon as possible. As the job location is at Hyderabad, this is one of the best chance for the local candidates. The spphyderabad.spmcil.com Hall Ticket 2019 consists of the personal information about the candidate appearing for the examination. So, candidates are suggested to check the details present on the hall ticket. Also, make sure that you are carrying the hall ticket to the test. At the exam hall, all the candidates need to carry the Admit Card along with any identification proof. So, the candidates are advised to carry any of the mandatory documents examination center. List of the documents is mentioned below. To download the SPP Junior Technician Call Letter 2019, candidates need to follow some steps given below. Firstly, candidates should visit the Security Printing Press official website i.e., spphyderabad.spmcil.com. Now, you will get the home page of the official website on the screen. On that home page, you can find the news update section. In that section, all the updated news will be shown. You can either search for the spphyderabad.spmcil.com Hall Ticket 2019 in that section. If the hall ticket link is not found in that section, then search for the hall ticket in the search box present at the top right corner. Now, fill the details asked such as the registration ID, date of birth etc. Now, admit card will be generated. Download the admit card and take print out of the admit card. Carry the admit card to the examination. if you still have any doubts regarding the SPP Junior Technician Admit Card 2019, you can refer the official website or you can ask us at freshersnow.com. Visit our website for other notifications. We hope that the information is helpful for the candidates appearing for the examination.